My colleague and I drove from Nebraska to Minnesota for our last National Extension Leadership Development (NELD) session. I have blogged about our other sessions here, here, and here. We were told about roadtrippers.com which is a fun website that let’s you choose how far off your road you would like to travel to see a variety of things. On this trip I selected no more than 5 miles, and for us to see tourist attractions and other odd ball things. 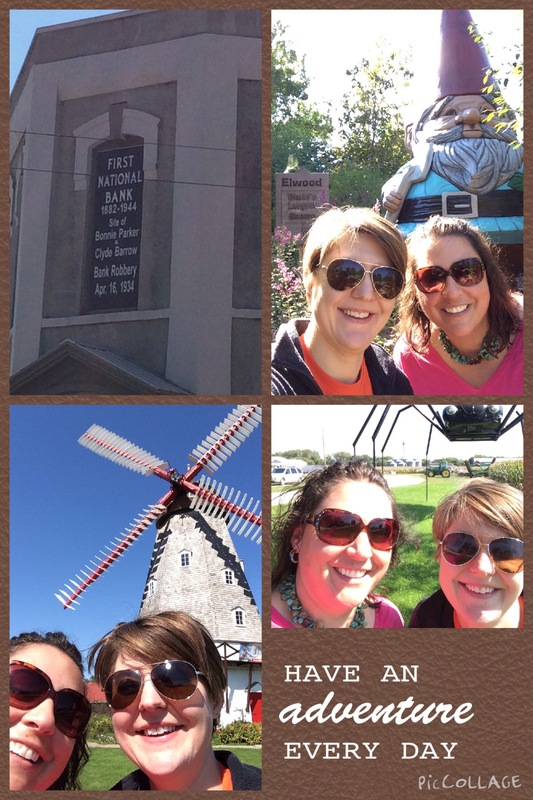 Below are some of the fun things we saw through Iowa which included the site of a Bonnie and Clyde bank robbery, the largest concrete gnome in the world, the oldest Dutch windmill in Iowa, and a spider made from a Volkswagen beetle! Timing food, bathroom, and fuel breaks around these stops helped to make this an efficient adventure! What adventures do you look forward to? Previous Broth vs Stock – There is a difference!